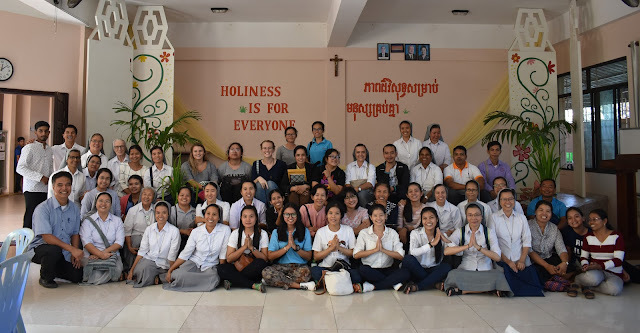 The 19th of January 2019 was a great day for the members of the Salesian Family in Cambodia as they gathered for the annual Salesian Family Day. It was also a day to deepen one's Salesian spirituality by studying and reflecting on the Rector Major's Strenna for 2019. 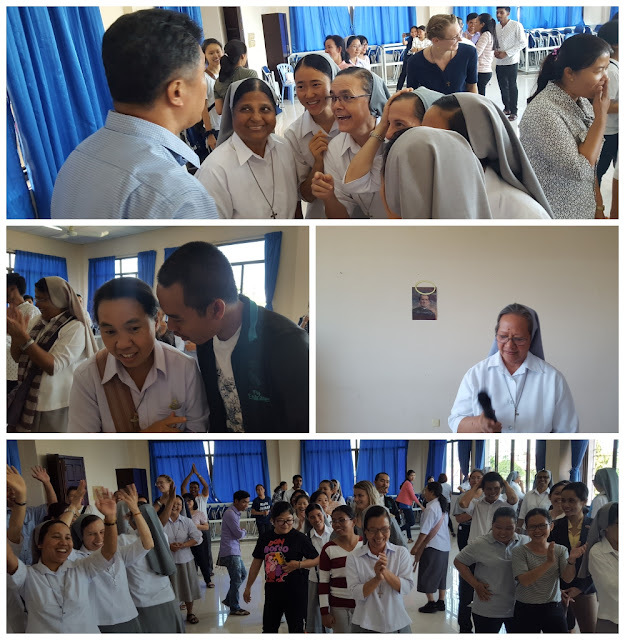 The gathering was held at the vocational training center of the Salesian Sisters in Tuol Kork District. The event began at 9:00 am with the Holy Mass concelebrated by Fr. Roel Soto (the Provincial Delegate), Fr. Ceferino Ledesma and Fr. Eugene Xalxo. After a short tea break at 10:15 Fr. Cef Ledesma, SDB began his talk on the Strenna entitled: "HOLINESS ALSO FOR YOU" based on the Biblical passage 'So that my joy may be in you' (Jn 15:11). 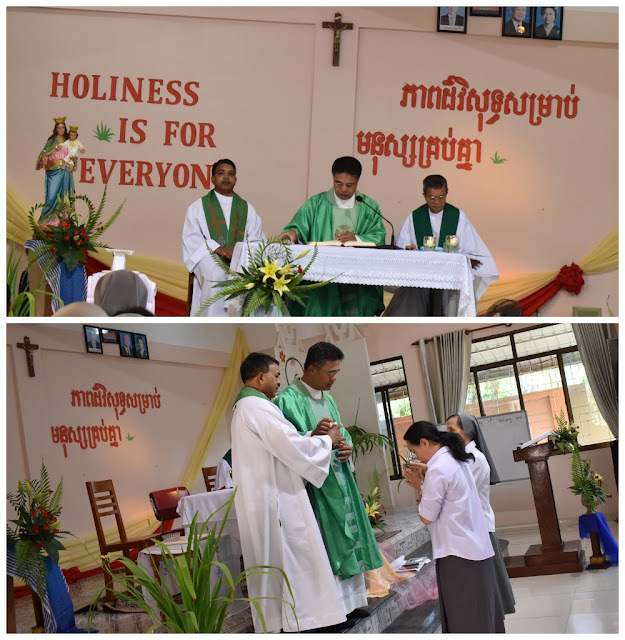 Subtitled "Holiness is for Everyone," the presentation of Fr. 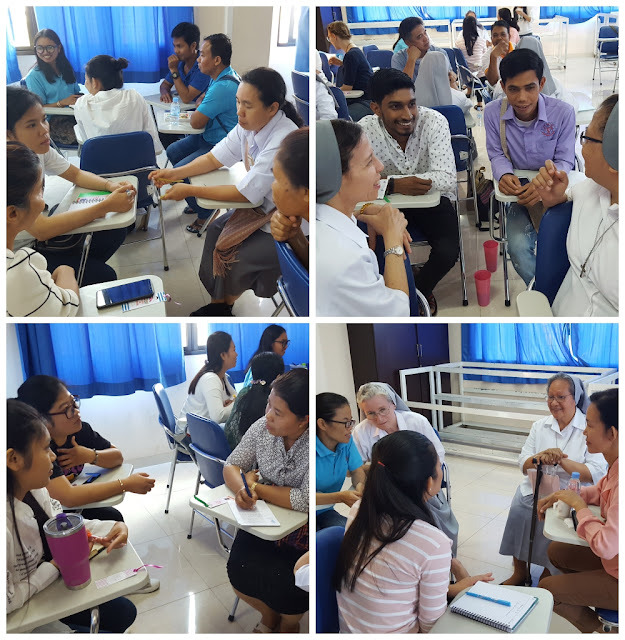 Cef was seasoned with jokes and anecdotes (for which he is quite known), making the participants expect for more. 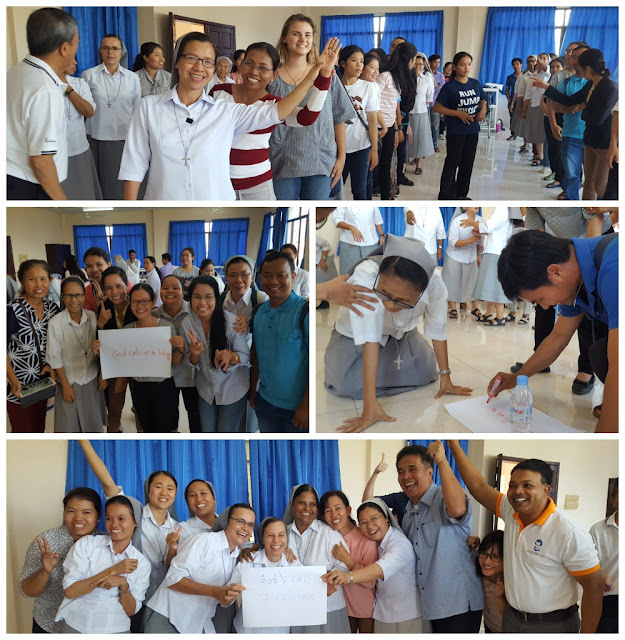 Before lunch, games animated by the VTC staff were held and enjoyed by everyone. The more than 60 participants (SDBs, FMAs, ASCs, Past Pupils, VDBs and a Sister-Servant of the Immaculate Heart of Mary, actively and whole-heartedly took part in the games and competitions which also had a touch of "Salesian sanctity". 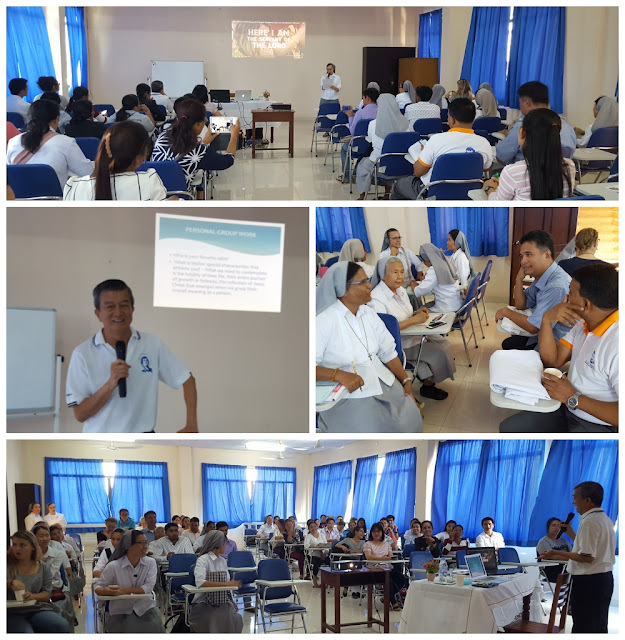 A special family lunch was served by the FMA Tuol Kork community.